Tyzack Ready To Go Finishing Trowel 11"
Pre-worn to professional standards. Tension rolled stainless steel blade is hardened and spring tempered for optimum rigidity and flexibility, has a protective lacquer coating for rust resistance, positive camber for easy application, and is cross ground for easy material flow and reduced drag. The edges are pre-worn to eliminate line and ripple marks, with radiused corners to eliminate digging in. Lightweight yet strong die cast aluminium tang has a specially designed shape to eliminate handle twist. Each blade has been individually set by a craftsman for optimum performance. Tyzack Ready To Go Finishing Trowel 11" is rated 5.0 out of 5 by 3. Rated 5 out of 5 by Integral sparks from Excellent finishing trowel I used this for a large wall skim... It worked very well with a clean smooth finish. 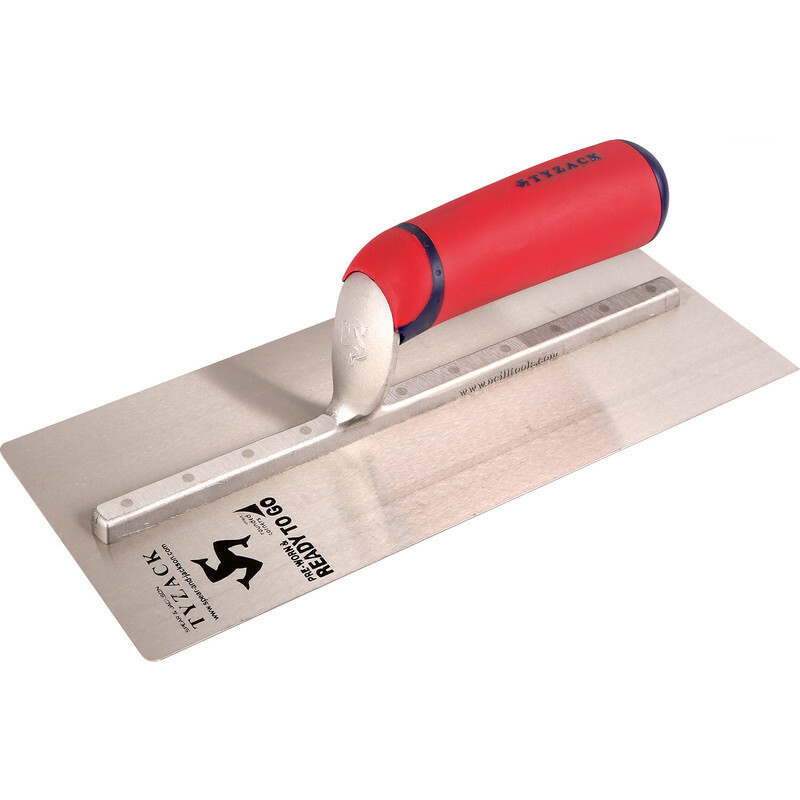 Rated 5 out of 5 by Mertyboy from Great for learning Bought this a week ago to teach myself to plaster at home and after using a terrible Hilka trowel on a couple of walls this is a dream to use! Edges needed a little sanding as I'm using it as a finishing trowel straight away and won't be able to break it in with cement or bonding (or however the pros break them in) Feels substantial but light, handle grip is comfy even after a few hours. I've kept it clean and dry after use and it still looks new after a good weeks work. Rated 5 out of 5 by daveey from Excellent trowel Great little tool for what i needed at a good price. Excellent service once again from Toolstaton and free delivery as well.